This 6 person spa comes with 28 powerful hydrotherapy jets including a full-body lounger, captain’s chair and foot jet. Easy-to-use ‘Plug and Play spa. Just place, fill and plug it in. Stylish rock-look panels, powerful 2-speed 2HP pump, all weather stainless steel heater and programmable, digital underwater LED light included. 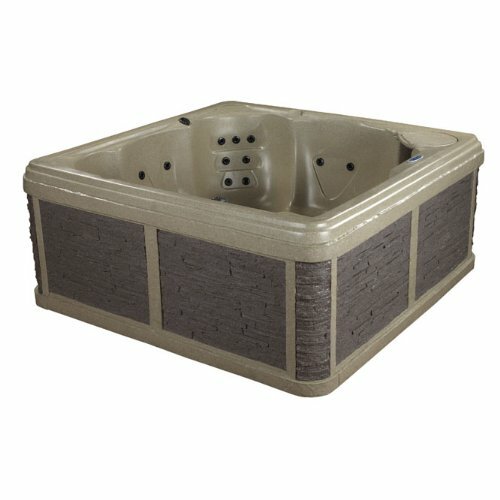 120-volt spa can be converted to 240-volt.